Having to manage your mortgage is not always a walk in the park. One of the best things about a mortgage is you get to live in your own home. With a mortgage, you are able to live in your dream home before you actually own it. It is important to note however that this kind of power also comes with a price – and if not dealt with properly can lead to financial burdens that you may live with for the rest of your life. In this article, we’ll answer some of the most common questions and we’ll share with you some tips about how to manage your mortgages. There may be times when you will be rejected for a mortgage especially when there is a sudden decline in your finances. One thing that you need to remember when applying for a home loan – do not get one unless you have a job that is stable. Also, you should not resign or retire on your current job prior to getting your mortgage approved since the approval will be based on your current information – having to change jobs will lessen your chances of getting approved for a mortgage. Why take advantage of pre-approvals? Be pre-approved for a loan before you go looking for that dream house of yours. Having to do so will help you hasten the processing of your papers and transactions and can even give you an extra leverage over other buyers on your targeted property. 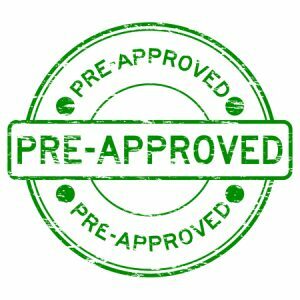 Another good advantage of getting pre-approved is that you’ll be able to have an idea of the price range that you can afford or handle. Getting a mortgage broker to help you get a loan instead of going directly to a bank could give you better chances especially if you’re dealing with low credit. In addition, there are better chances that a broker may help you find the best interest rates as compared to those that are provided by banks. 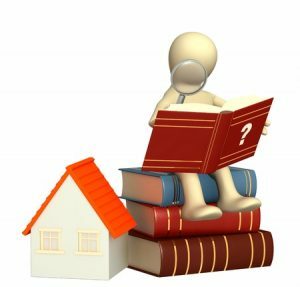 Also, another thing that you need to bear in mind when looking at an ideal property is to check its tax information. Keep track of its history of property taxes. The last thing you want is to be surprised about your property’s tax bill when you’re expecting your property to have been assessed at a much lower value. Why choose mortgage brokers over banks or other financial institutions? Another thing to note when it comes to a mortgage is to know is, what’s the difference between a mortgage lender and a broker? Having to do so is important prior to getting the best deals out of your mortgage and to make the best and ideal decision. The mortgage broker will serve as your middle man who takes care of the research, looking around and finding the best deals and options available for your specific situation. The lender on the other hand provides the loan itself which are fixed options and doesn’t really provide you with any other options outside of their offerings. With this, you now understand the importance of a mortgage broker when looking to apply for a loan. A good way to find one is to look them up over the internet, read forums as well as reviews and you can also ask other mortgage applicants about their previous collaborations with brokers. One thing to check on your ideal broker about is their ratings from Depart of Fair Trading. As soon as you’ve found your ideal broker, you can immediately set an appointment with them to talk about their possible agenda for your situation. A mortgage broker will also be your fastest option for finding funding. Also, they’re a bit simpler than banks however they can offer a wider range of loans that can be available for specific situations. A part of a broker’s job is to research about lenders and the best deals – something that you should take advantage of. With this, a broker can quickly come up with plans and strategies on how you can fund your loan. Many people today don’t even think about living in their home without having a mortgage. This is because a mortgage ensures that they’ll be living in their dream home permanently. Although this may be a long-time responsibility, it’s still a better guarantee that you’ll end up getting your own home. With the details provided in this article you’ll be able to have a better chance of owning your own home quickly and affordably.